the only brackish water archipelago in the world! In the winter you can take a walk on the ice, skating or go bye car or snowmobile. You can also take a trip with an icebreking tugboat and have a icebath in survivlesuite. 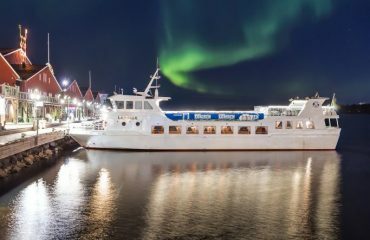 From mid-May until the end of September we are offering evening cruises with a dinner buffet and live music. Join us for an unforgettable trip in the archipelago of Swedish Lapland. On the daycruises we go ashore on some of the archipelago's most famous islands for guided tours. 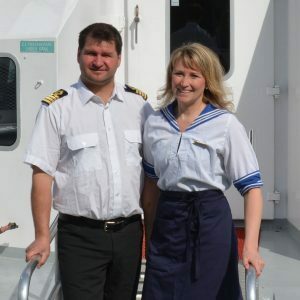 Go with M/S Laponia for a guided cruise where you will experience the best of the archipelago, meals are included in the price. 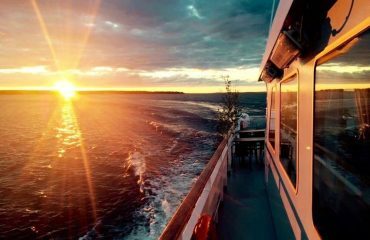 Or you can join M/S Symfoni to explore Luleå archipelago by yourself. On board the cafeteria serves hot and cold drinks, sandwiches and some cold dishes with fish or meat.